ONE OF NONE: PONTIAC RAM AIR V GTO! Like Chevrolet’s ZL1 Corvette and Buick’s Stage II Gran Sport, Pontiac’s Tunnel Port Ram Air V is part myth, part magic, and has been the subject of urban legends for decades. 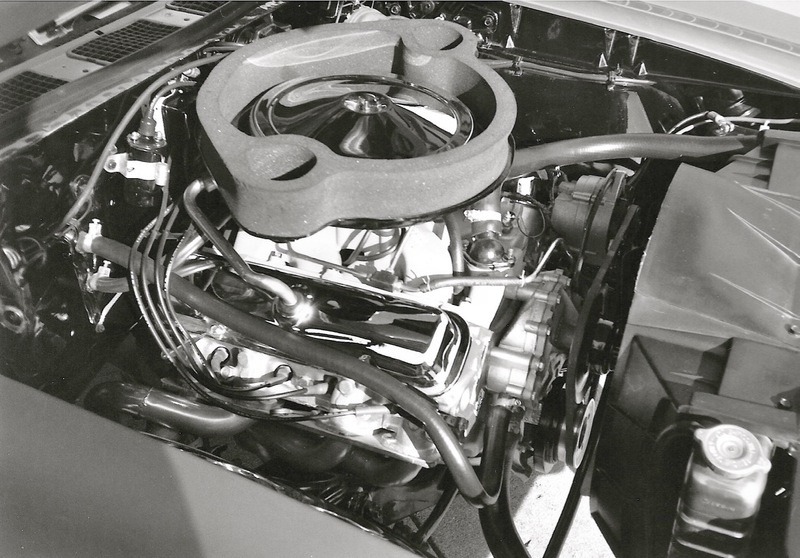 Many of the same high-performance engineers responsible for the 19691/2 Ram Air IV 400 were also involved in the design and development of the Ram Air V. They took a page from Ford’s 427 drag and NASCAR playbook, resulting in all-new maximum flow Tunnel-Port heads with huge round intake ports. The Ram Air V lineup included 303, 366 and 400-inch iterations for SCCA, NASCAR and street and drag racing, respectively. At the time, there was also talk about a possible 428 version. But unlike the Ram Air IV, the Ram Air V never became a Regular Production Option. 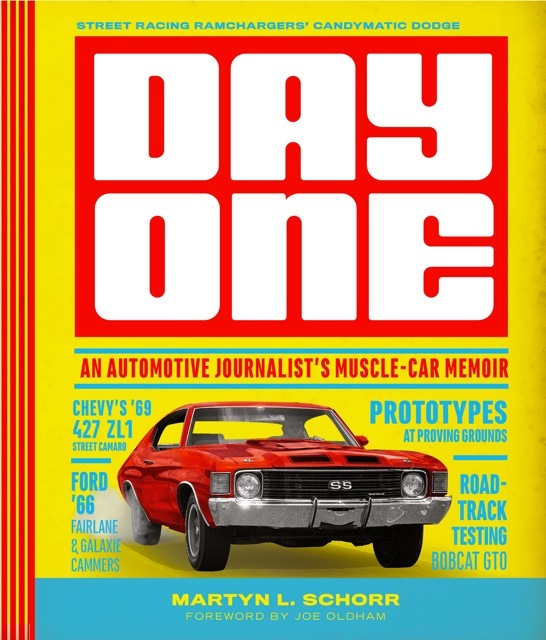 When I was editor of Hi-Performance CARS, I expressed an interest in testing a ’69 ½ GTO after learning that Jim Wangers had convinced Pontiac to install a pre-production 366-horsepower Ram Air IV engine in a new GTO. This engine had new heads, 1.65-to-1 rocker arms, aluminum intake manifold and high-lift cam. 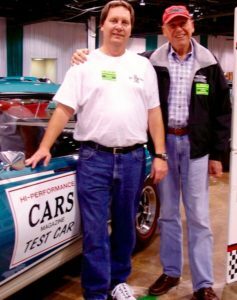 Jim let me know that Pontiac was also supplying a prototype Ram Air V 400 engine for comparison testing. The good news got even better. 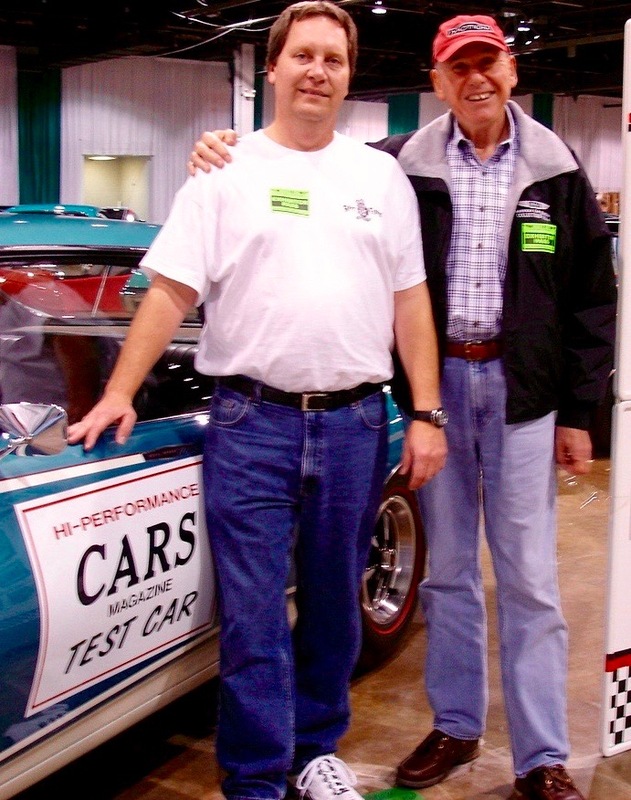 Above & right, with Ram Air V Bobcat GTO and owner Bill Schultz at MCACN. 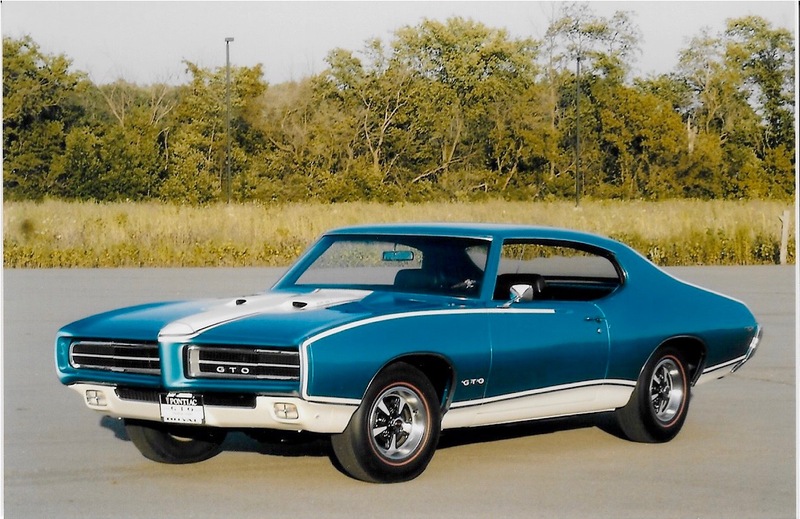 The ’69 GTO was delivered to Royal Pontiac where Milt Schornack and Dave Warren converted it to Bobcat specs and added headers and a Schiefer clutch. 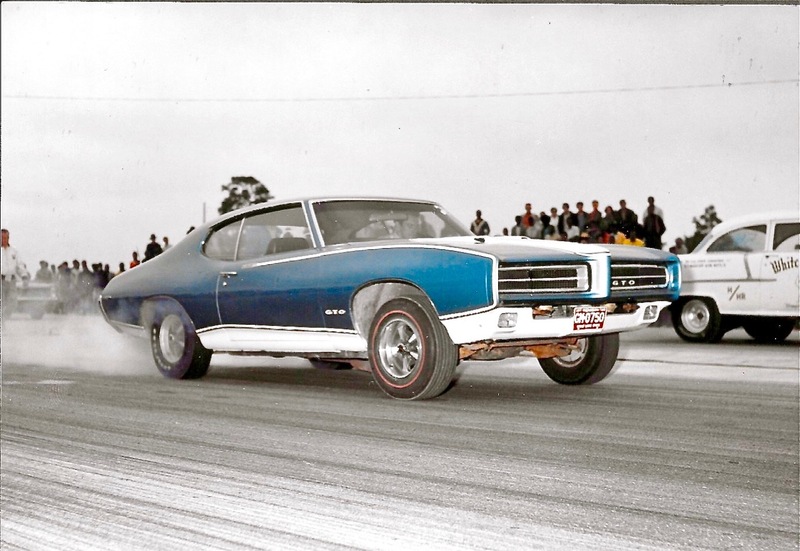 After some local racing, the GTO was shipped to Florida for testing at Miami Dragway. With open headers and 8.50×14 cheater slicks, it ran a best time of 109.52 mph in 12.62-seconds. With closed pipes and street tires, it ran 108.42 mph in 13.42 seconds. Impressive indeed! Pontiac’s 400-inch Ram Air V engine featured a reinforced four-bolt-main block, forged steel crank and rods, forged 10.75 pistons, solid-lifter cam, big-valve heads, aluminum intake manifold with a Holley 800-cfm four-barrel and tuned cast-iron exhaust manifolds. Pontiac planned on rating the engine at 375 horsepower, even though dyno tests were closer to 500! 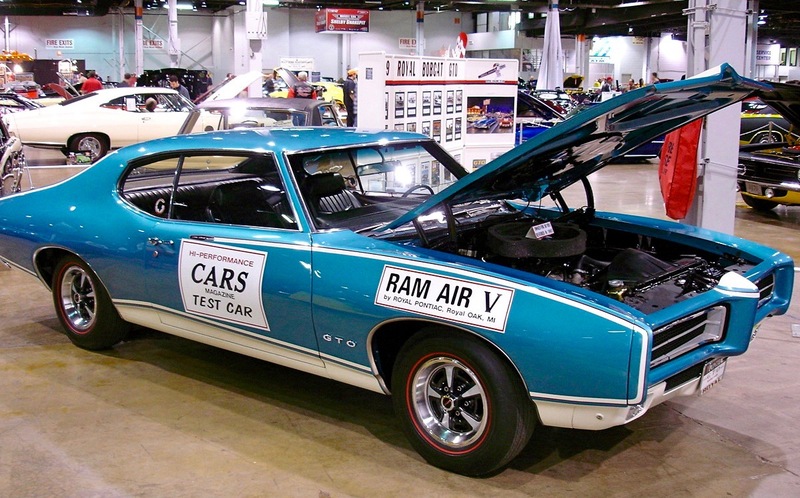 After testing the Ram Air IV GTO, the Royal crew swapped engines. After a few burnouts and warm-up passes, it was obvious that the RA V produced considerably more horsepower, as it easily overwhelmed the slicks. On its first full-throttle run, driver John Kosmala backed off after hearing a knocking sound. The engine was a well-worn prototype with many hours of dyno testing under load and it experienced a bearing failure. That was the end of testing, but not the end of the Ram Air V GTO. In 1970, the rebuilt original RA V engine was re-installed by Royal and the GTO clocked consistent 11.70s at Detroit Dragway. The Ram Air V program was put on the back burner and well into the 1970s, complete engines and components were still available. It has been estimated that a couple of dozen RA V 303 engines and a considerably larger number of 400s were assembled. 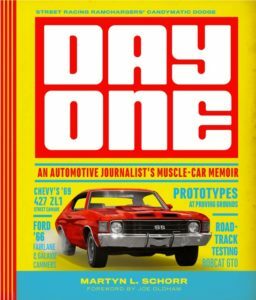 While some Pontiac dealers did install RA V engines in new GTOs and Firebirds, there are no records of assembly line installations. Some are still running today in sedan racing and on drag strips. The magic has survived! Milt Schornack owned an Espresso Brown ’69 RAV GTO.